The US request to extradite Huaiwei Chief Financial Officer Meng Wanzhou goes against international law and mirrors its unilateral sanctions on Iran, which is opposed by the international community, Chinese Foreign Ministry said Wednesday. The US extradition request mirrors US sanctions on Iran. 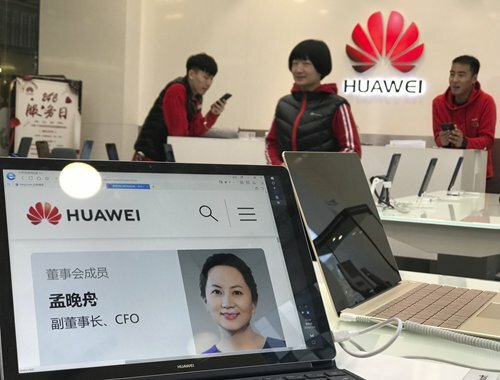 However, as everyone knows, Huawei has repeatedly stated its compliance with all applicable laws and regulations of the countries in which it operates, said Hua Chunying, spokesperson of China's Ministry of Foreign Affairs. Hua noted that China opposes unilateral US sanctions against Iran outside the UN Security Council framework. The sanctions are not in conformity with international law and have met with international opposition, including US ally Canada,she said. Hua's comments came after the US Justice Department said on Tuesday it would continue to pursue the extradition of Meng and would meet all deadlines set by the US-Canada Extradition Treaty, Reuters reported, citing a statement released by US Justice Department spokesman Marc Raimondi. Huang Feng, director of Beijing Normal University's Institute for International Criminal Law, told the Global Times this accusation is farfetched because she was allegedly accused of bank fraud at HSBC, a UK-based banking giant, not a US one, and Meng's activities were outside the US. Canada's Department of Justice said an individual can be extradited if the alleged activity in question is recognized as a criminal in both countries. Huang said that the extradition request cannot be passed by Canada unless the US offers solid evidence to prove that Meng violated the laws of Canada and the US. The US action goes against international law and is unjustified, said Hua, noting that it is part of the country's political agenda to bully Chinese hi-tech firms and contain China's rightful development. Huang also noted he found it strange that the Canadian ambassador announced the US request before the US formally send its extradition request. "Normally, none would publish relevant information unless it's formalized. So it seems like Canada is bluffing." Ren Zhengfei, Meng's father and Huawei founder, said in an interview with foreign media on January 15, "I trust that the legal systems of Canada and the United States are open, just, and fair, and will reach a just conclusion," Ren said, according to a transcript Huawei released to media.